When you’re driving your car, you want to feel as safe as possible. Careful and defensive driving is all good and well, but sometimes accidents occur, whether it be a slip up by you or another driver. Before all this happens, if it ever does, it’s a good idea to take precautions to prevent or minimise injury to yourself, or damage to your vehicle. Prevention is better than a cure, as they say. If you’re looking to up the safety factor of your car, have you ever considered getting a bull bar? 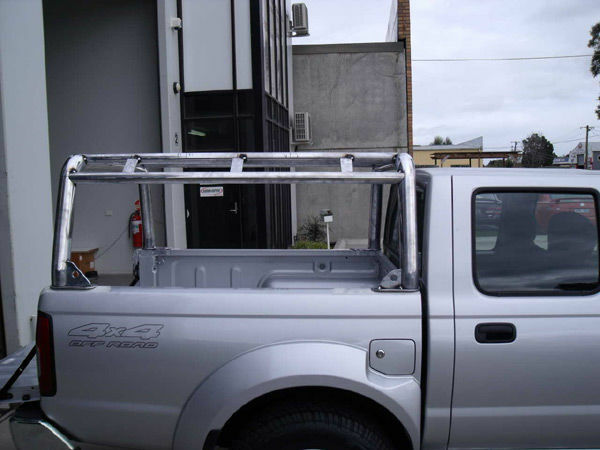 At Barworld, our professional team can install a bull bar on your car in the Melbourne area, at the most affordable rates around. With our talented team at Barworld, no job is too big or too small when it comes to the world of bull bars. We can create custom alloy bull bars for all kinds of vehicles, from trucks to 4WDs, SUVs, utes and much more. When you get a bull bar installed with us, you know you’re getting quality. Our engineers are all about excellent design, great workmanship and precision when it comes to making your bulbar. When you drop your vehicle into our workshop, we will install your bull bar promptly so you won’t be left waiting for your car. We pride ourselves on our customer service, and always take a friendly and professional approach to our customers. We’re as excited about your new bull bar as you, because we know it’ll improve your vehicle immeasurably. Call Barworld and get your custom bull bar installed today! At Barworld, we are the bull bar experts. Whether it be custom bull bars, ute tray bars and ladders and truck bull bar installation and repairs, we have you covered. If you need any further information about our products or services or for a free, no-obligation quote, please don’t hesitate to get in touch. Drive with confidence, and get a custom bull bar installed on your vehicle today!